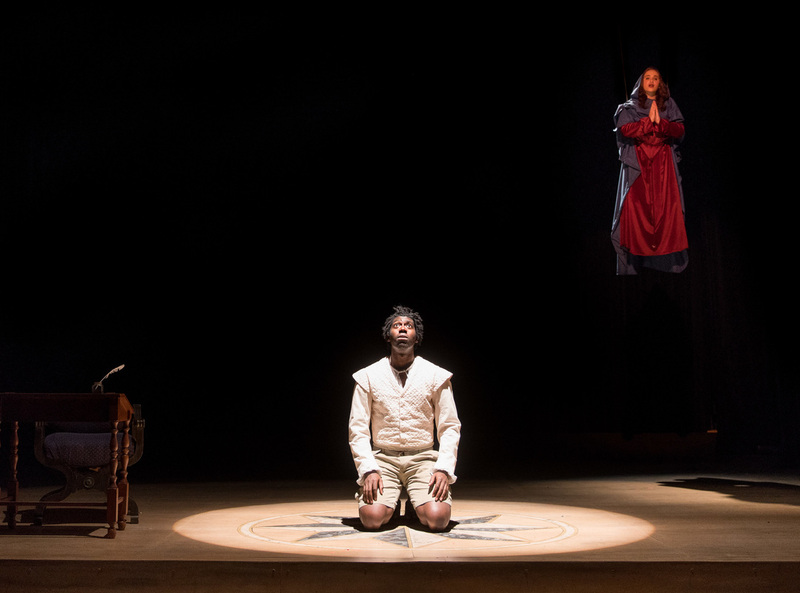 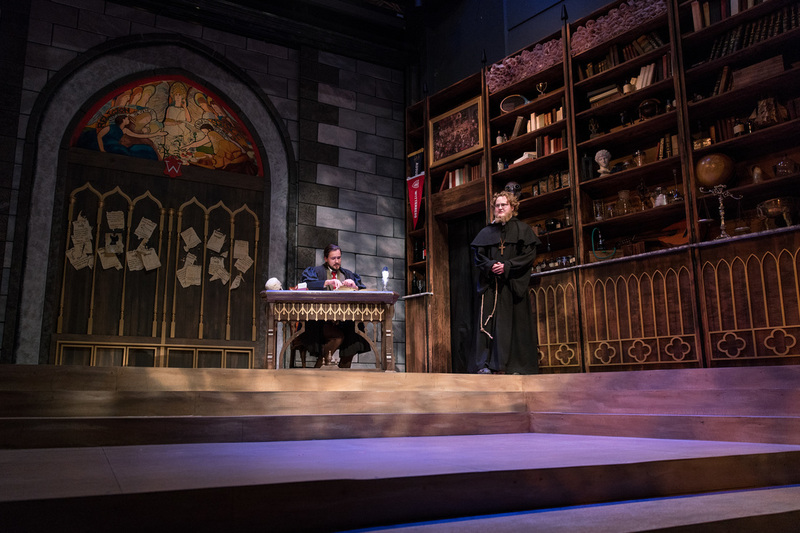 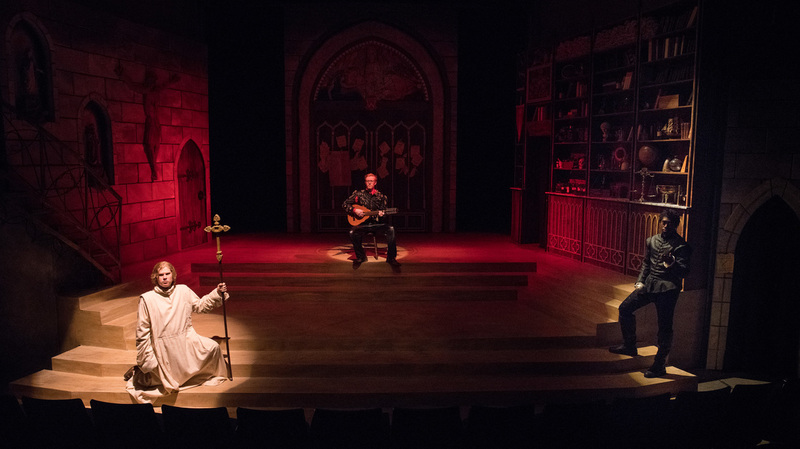 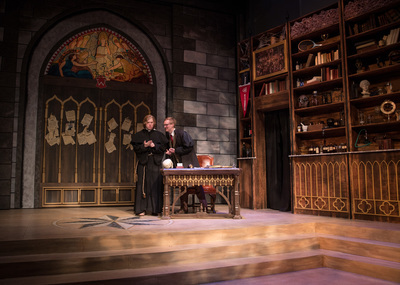 The concept behind the design, from the initial talks with Tom Mardikes through to the realization of the scenery, was always focused on the internal struggle between faith and reason, Luther and Faustus, The Church and science. The stage was said to have a centerline running straight down the middle, with the left (sinister) side containing all that Faust holds dear in the world, ranging from tokens of his travels to the scientific tools he utilizes in the gathering of evidence to thwart the Church at every turn; while, the right side (divinity) housed a snapshot into Martin's brain, the charitable, pious, and devout man. 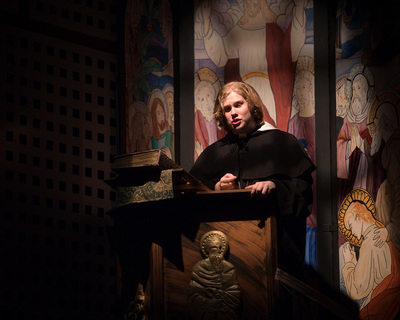 All of this takes place in front of the ominous Wittenberg church door, upon which Luther's 95 thesis were historically posted. 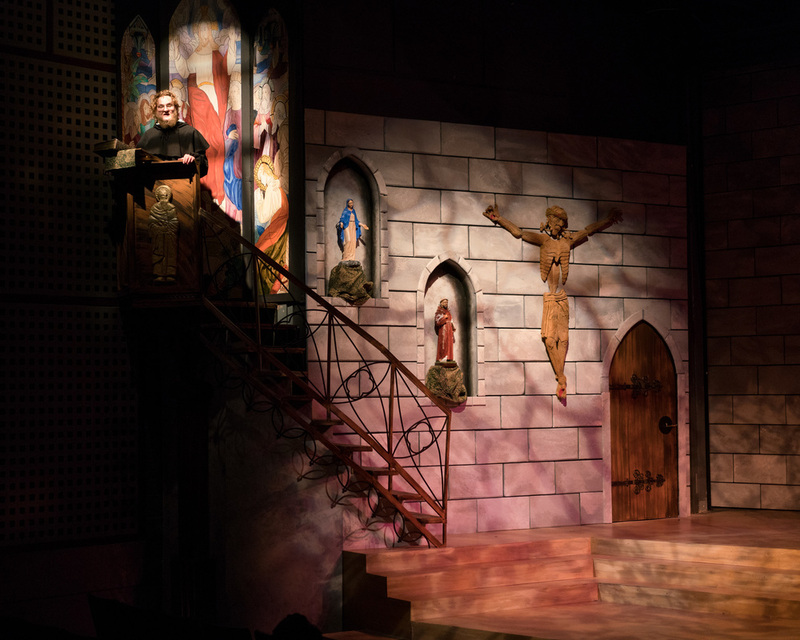 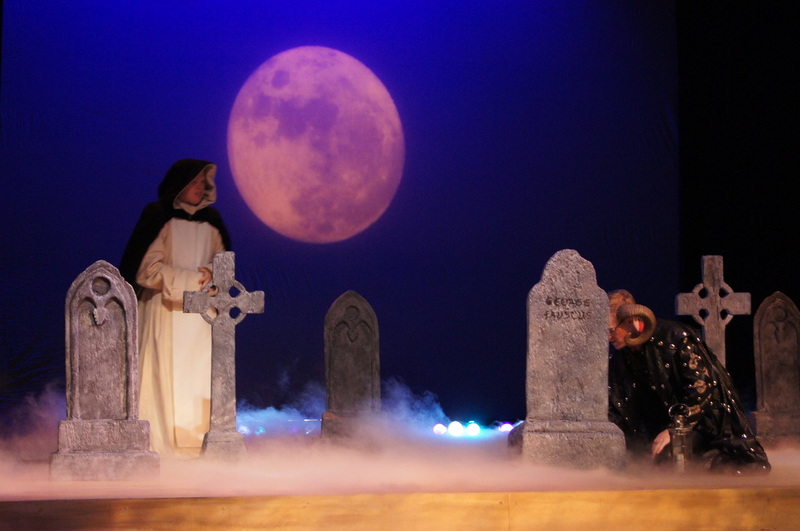 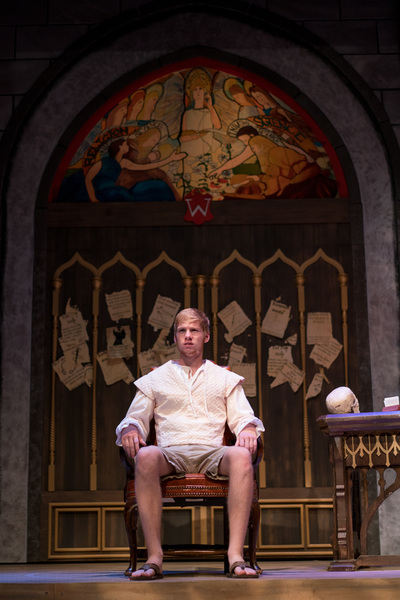 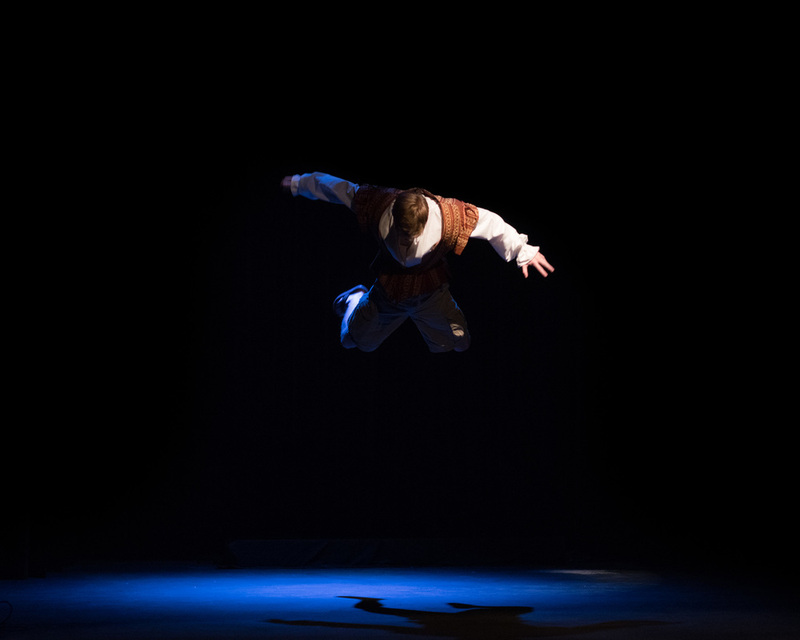 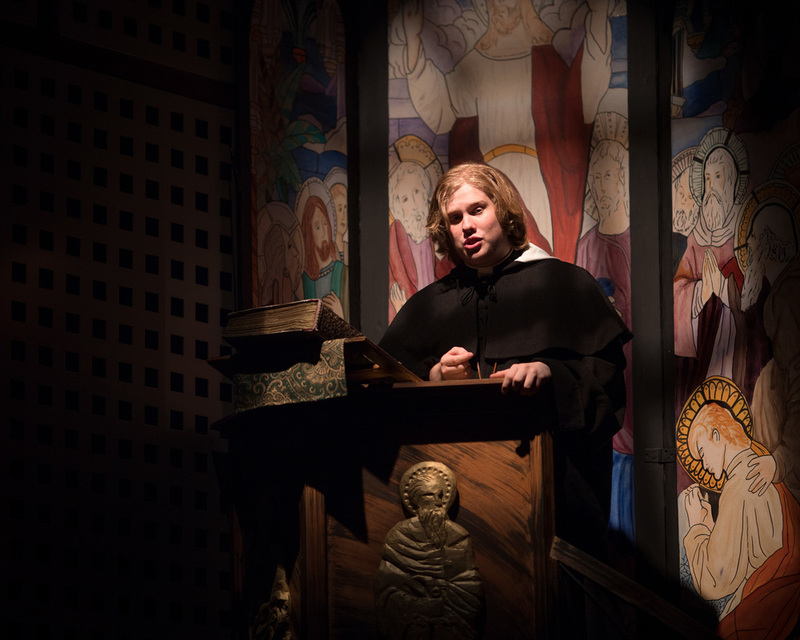 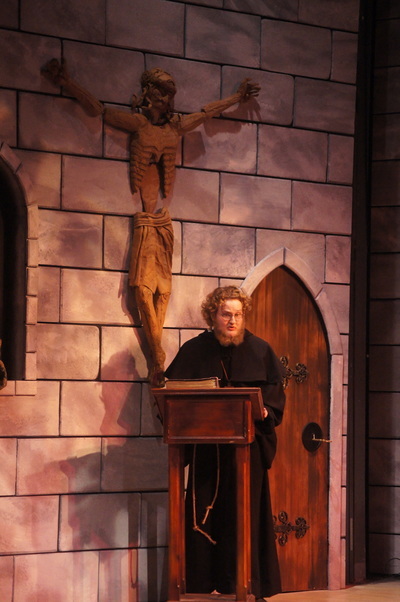 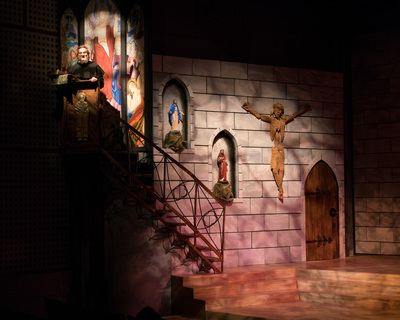 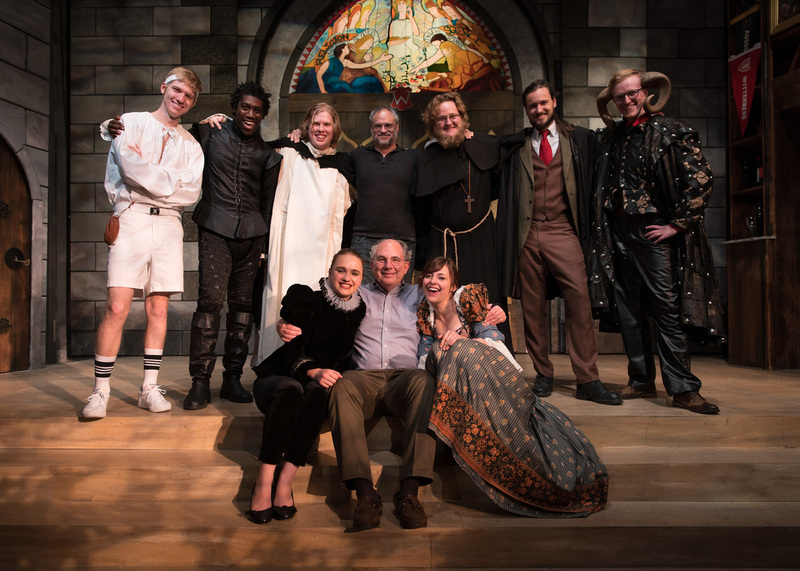 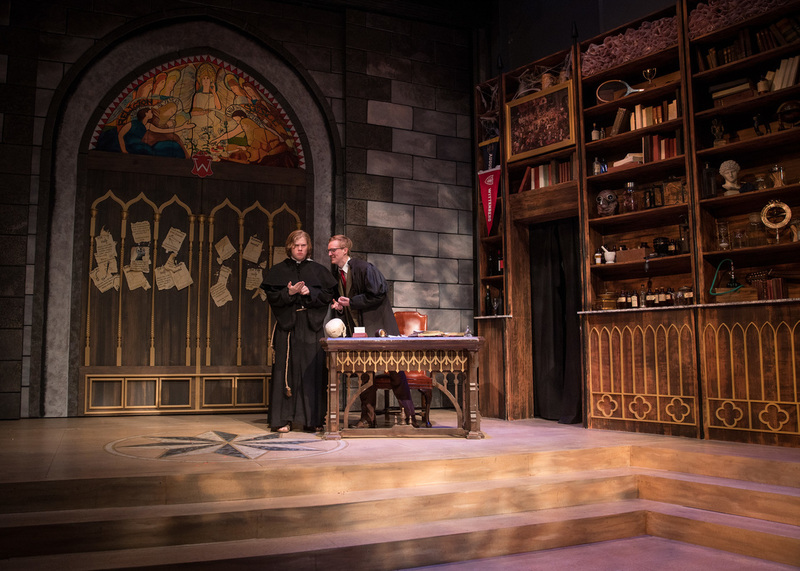 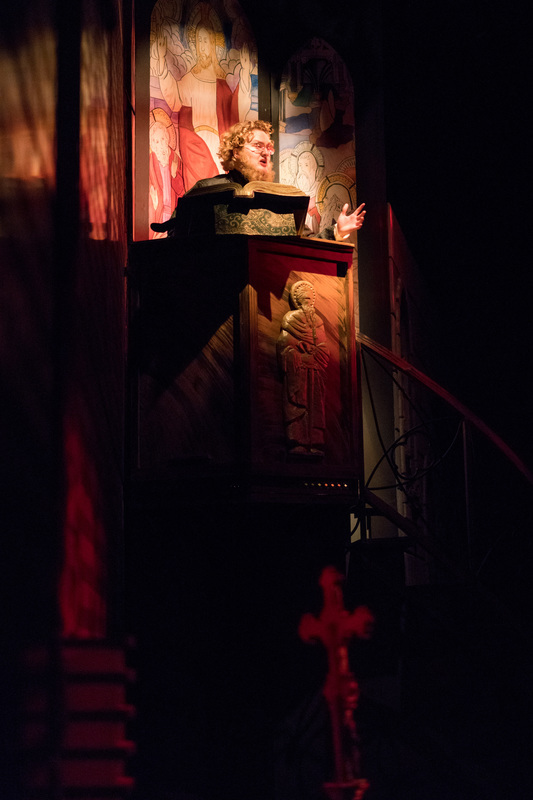 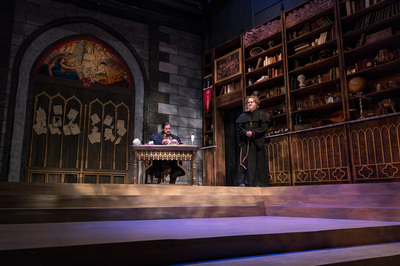 All of the scenery was conceived from historical reference of the actual Wittenberg Church (the door, the pulpit, the stonework, and the marble inlaid sandstone floor) and then theatrically heightened to live in the world the play creates with one foot in the 16th century and the other foot in the world of today. 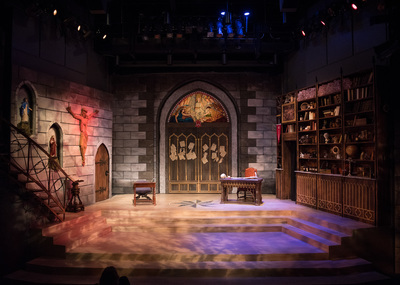 If you have questions or comments about the design for this show, I am more than willing to share and discuss about anything from the design process, the concept for the show, to the actualization and finished product of the stage set.